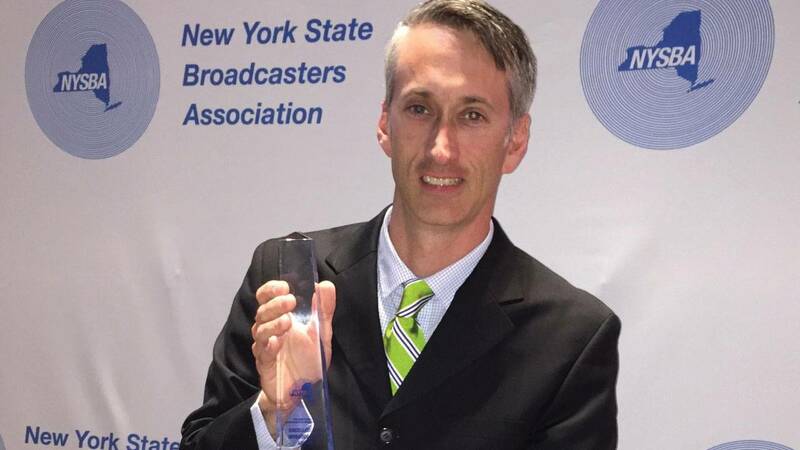 For the second straight year WMHT's "New York NOW" was honored with a New York State Broadcasters Association Award for "Best Public Affairs Program" at the 49th Annual Awards Ceremony at the Conrad Hotel in lower Manhattan. It recognizes outstanding achievement among the state's radio and television stations. This is now the third time in four years that our program has been honored. The particular show that won was our August 2014 broadcast from the top of Sleeping Beauty Mountain where we looked at the 50th anniversary of The Wilderness Act and its connection to the Empire State. In addition, we interviewed DEC Commissioner Joe Martens and looked at the inspirational program run by Brother Yusuf Burgess, taking inner-city kids and introducing them to "The Great Outdoors." Sadly, Yusuf passed away this past December. Congratulations to Managing Editor Matt Ryan, Times Union Capitol Bureau Chief Casey Seiler and WMHT Videographer Brian Flynn.